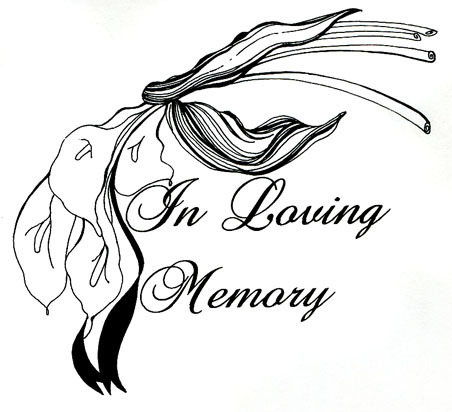 BOSSIER CITY – Beverly Jane King said hello to Heaven on June 23, 2013. Beverly was born April 8, 1958 to Thomas and Lillie Mae Murray King. She leaves behind her three beautiful daughters, Nichole Parsons Villalobos (Carlos), and Angela Parsons Hallgren (Wesley) of El Paso, TX and Melissa Parsons of Las Vegas, NV. She was very proud of each of them. Her prize possessions were her grandchildren, Enrique, Cielo, and Gael Villalobos and McKenzie Hallgren. They were the bright spot in life. She also leaves her beloved brother Tommy King (Ingrid) of Rancho Santa Margarita, CA. She will be missed by her older sister, Patsy King Starks (Jimmy) of Haughton, LA. Bev regarded Jimmy as her “other” brother. Left to remember her is a very special niece Trisha S. Knowles (Lee). Bev loved their boys, Hunter and Zach. She leaves a special nephew Scott Starks (Deborah) and family. Scott was a great help to Bev when she needed it and she loved him for it. Her nephews are: Ty King and family, Chad King (Heather) and family, David and Jamie Rowe. Her three step children: Jamie, Toby, and Josh Blissett and a special cousin Walter Colquitt, of Las Vegas, Nevada. Beverly leaves two very dear friends, Shaun Grimshaw and Donna Little. Donna was Beverly’s heart friend and Shaun was like another sister to Beverly. Shaun was a Proverbs 24:18b friend, “But there is a friend who sticks closer than a brother.” Her dogs Precious and Possum will miss their mama. Beverly spent the last few months of her life at WKP Hospital in Shreveport, LA due to perplexing multiple medical conditions. She is thankful to the doctors and nurses that helped her through each day but her body finally couldn’t fight anymore. She left us way too soon but she knew where she was going. She had accepted Jesus as her Lord and Savior many years ago. We know mama met her at Heaven’s gate with a hug! 1 Corinthians 13:1 tells us “If I speak with the tongues of men and of angels, but do not have not love, I have become a noisy gong or a clanging cymbal.” Beverly had the love; unconditional, generous, and compassionate. She was known to take in people or pets that needed a place to stay. Her home was always open. What she had was yours. She was a very intelligent person, a good listener and a great conversationalist. Love people while you can, while they are here, and let them know it. That’s what Beverly would say to you today if she could.